This week, the company re-emerged with Shadow Air, a refreshed, lightweight take on consumer-grade smartglasses for the next iteration of its Action line of AR wearables. Weighing in at about 150grams (lighter than the iPhone XS), the Action Air is capable of a field of view of up to 60 degrees via a binocular display. The smartglasses run on a Qualcomm Snapdragon 845 processor and uses three cameras to enable 6DoF tracking. It delivers 3D content through a custom operating system called Blue Cat. 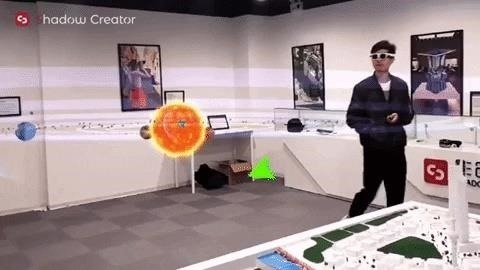 While the company's Action One from 2018 resembles a futuristic take on the HoloLens, the new Action Air resembles the Nreal Light, one of the show-stealers from CES 2019. However, while the Nreal Light tethers to either a computer pack or a compatible smartphone, the Shadow Air embeds its processor within the device, as evidenced by the extra thick temples. Based on the video unveiling the device, it appears that the Action Air will support both hand gestures and controller input, like the Action One. We've reached out to Shadow Technologies to confirm and obtain additional information. 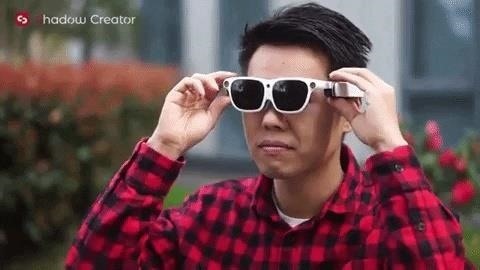 Smartglasses for the consumer segment are the holy grail of the augmented reality industry, and, while the world waits for Apple to set the standard for smartglasses, it's the startups and lesser-known manufacturers that are stepping up to fill the void. While Vuzix and North focus on lighter AR functions, Shadow Technologies joins Nreal among smartglasses makers attempting to bring true, immersive 3D content to consumer wearables.